Richie Lerma walks fast, his eyes sharply darting around the room. It would be easy to take this as a sign of either a sense of perfectionism or furious curiosity, but as former director of the Ateneo Art Gallery, founder of the prestigious Ateneo Art Awards and current director of Salcedo Auctions, his intense involvement with his surroundings speaks to a career spent in keen observation of both remarkable and beautiful things. Lerma’s introduction to art began at a young age. “In the course of [the] family business, my parents began to acquire art, and so I was surrounded by it from childhood,” he says. From these imaginably gorgeous surroundings, an interest in the arts was nurtured throughout high school and into university, where he pursued a Humanities degree. After graduation, his explicitly art-focused career had yet to begin. Instead, he started working in advertising as a copywriter. Lerma says he met certain individuals who told him about an Art History program in Florence, Italy. Pursuing these further studies made him realize he had found a passion that translated seamlessly into terrific performance. “My professors were recommending for me to take further post-graduate studies pursuing them all the way to a doctorate,” he says. But rather than doing that however—citing that he would rather not spend more of his parents money on his education—Lerma came back to the Philippines and weaved through a series of formative roles. He began fielding questions about Italy in a stint at the Italian Embassy’s cultural office, volunteered at the Metropolitan Museum, wrote for the Philippine Daily Inquirer, and, after an article of his focused on an exhibit in the Ateneo Art Gallery was published in a magazine, he was recommended for the position of Assistant Curator at the museum. 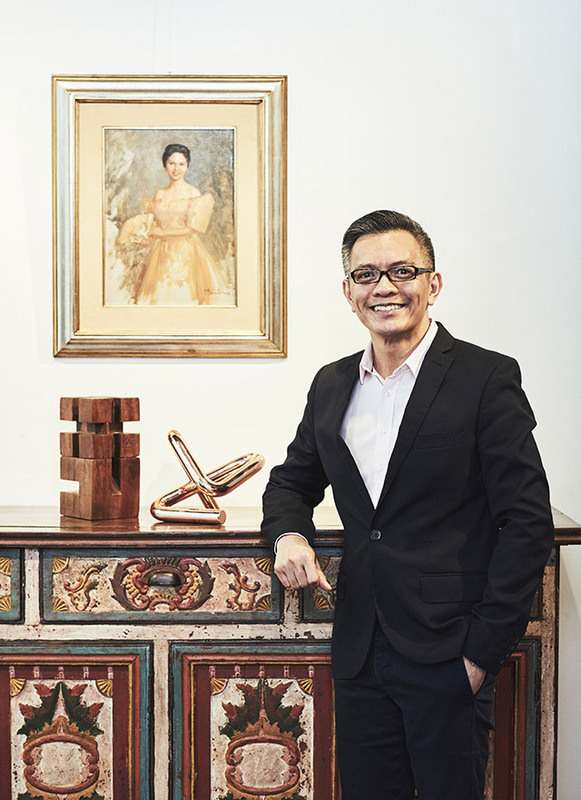 The role at the Ateneo Art Gallery led him once again overseas, this time to pursue a Masters Degree in Art Administration at the University of New South Wales in Australia. Simultaneously, he was formulating the Art Management program of the Ateneo de Manila University. After completing his masters degree, he was flown back as director of the museum. It was there where he birthed the idea for the Ateneo Art Awards, which today is considered one of the most prestigious art prizes for a contemporary artist in the Philippines. “I went back to Australia in 2007 to fulfill some family obligations but remained director of the museum,” he says. In 2009, Lerma, who by then had married the former Karen Kua, returned to Manila to begin work on putting up Salcedo Auctions. During the Lermas’ stay in Sydney, Karen took a gemology and diamond-rating course where she began to see value in stones. The couple started to wonder why there was nothing like that back in Manila. 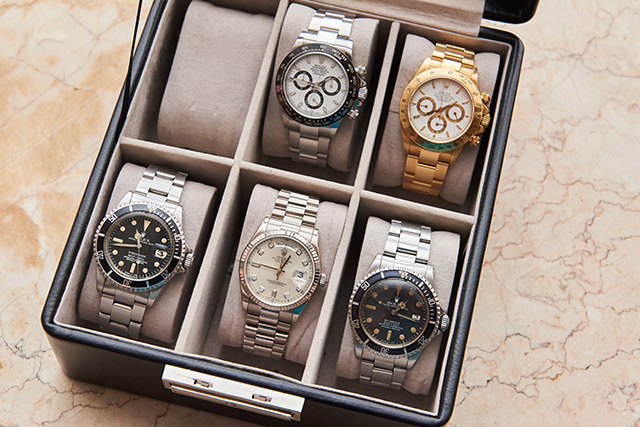 There was an attempt to bring in auctions to the Philippines in the 1980s through a company called The Auction House, though it dealt mostly with jewelry. It closed down not long afterward. Sensing an opportunity, the Lermas set up the business during the first few months of 2010, finding a space in the middle of Salcedo Village in Makati. But the couple persisted. Eventually, the clearance rate just kept growing. Lerma says he felt it was because people became more and more attuned to how auctions are conducted. Before long, they started doing their Filipino Art sales, which are sales devoted exclusively to Filipino art. Eight years on, Salcedo Auctions is a thriving business, as evidenced by priceless works of art going through its doors. Lerma reports that last year was their biggest year yet because of the volume of pieces that have been presented to the company. Lerma adds that they have gotten so many people bringing many different kinds of pieces for them that they have chosen to open a subsidiary brand called Gavel and Block in order to present all of these pieces artfully, tastefully and thematically. Lerma chooses to see Salcedo Auctions as a place where they dust off the musty impression of old pieces in order to help them engage with the people of today. “The way to look at them now is to see how they can continue to be significant,” he says. “These pieces still continue to make history because of the way we are now approaching and relating with (them). That I think is very interesting in terms of the continuing narrative of history. I love this confluence because looking at things this way and presenting things this way, it’s more than simply selling. And, I think that at the heart of our business is passion. *The headline and parts of this article were revised on July 5, 2018 to correct the impression that Salcedo Auctions was the Philippines’ first auction house. We regret the error, which was entirely our own. Mr Lerma did not claim that Salcedo Auctions was the country’s first.